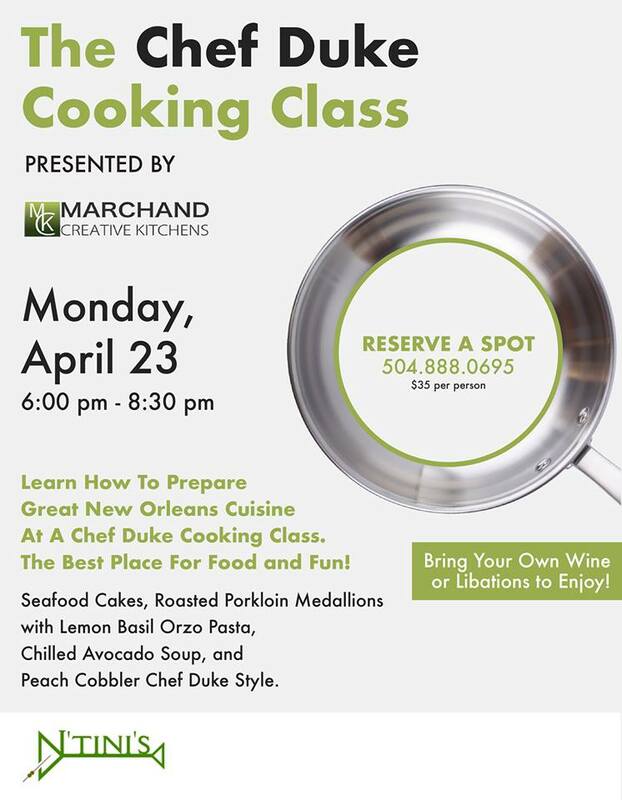 Learn how to prepare great New Orleans Cuisine at a Chef Duke Cooking Class. The best place for food and fun! In April, we’ll be cooking seafood cates, roasted pork loin medallions with lemon basil orzo pasta, chilled avocado soup, and peach cobbler Chef Duke style.